Why is argon the specialist gas of choice in the welding process? In the manufacturing industry, when welding you know the importance of shielding gases. But do you know some gases are more preferable than others? More importantly, do you know why? The entire purpose of shielding gases is to prevent the welding area from atmospheric elements. Such exposure could leave you with a sub-optimal weld. If elements do come into contact with the welding area, it can reduce the overall quality which could jeopardise the whole operation. If you have been in the industry for any length of time, you will know the most common examples. This includes the likes of argon, helium, or carbon dioxide. Each gas offers its own unique properties when welding, and a case could be made for any of them. Carbon dioxide, for example, is low cost. It also makes for inferior welds, letting too much oxygen in. Argon, on the other hand, might be the perfect replacement. Argon is widely used because, like CO2, it is low cost. It is odourless, colourless, and known for not reacting to high levels of elements like oxygen or water. So why use it over CO2? As we mentioned, CO2 yields imperfect results, as it leaves openings for oxygen to compromise the weld. Argon, on the other hand, is much more stable and controllable. It keeps the molten weld from getting damaged, becoming brittle and breaking, and can be used with other gases such as helium to enhance the quality. The perfect choice would be a mix of argon and something else. Argon would always be the gas with the largest quantity though. While argon is a good fit for a variety of welding jobs, it can be a safety risk. As with any gas work, there are steps to take to prevent causing an accident. Argon is stored in high-pressure tanks, and although its inert qualities mean that it doesn’t easily react to other chemicals, it is essential to be fully trained in handling and transporting gases to minimise the risk of accidents and hazards. The risk of gas leaking or spilling needs to be taken seriously; gas should be stored in a well-ventilated room. Argon is colourless and odourless so ensuring ventilation is available and that tanks are sealed adequately is critical. Overall, argon is a standard, low cost but high-quality choice of shielding to use when welding. 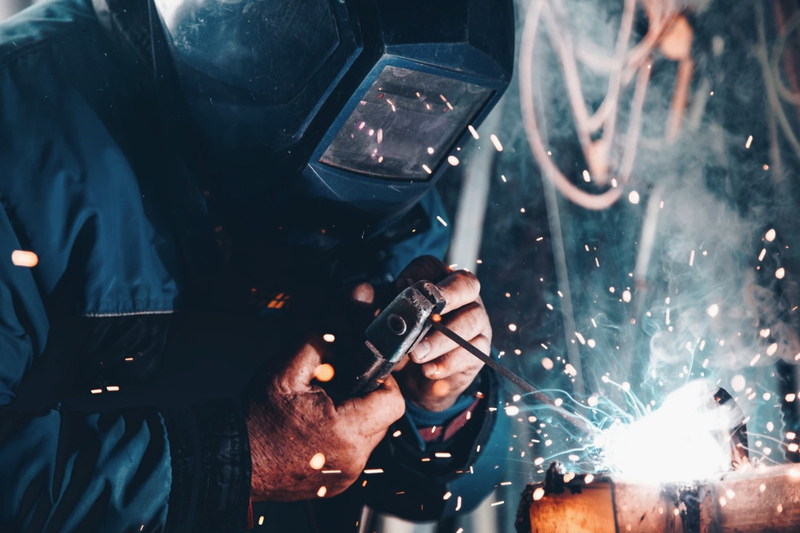 Although its odourless and colourless properties make it a convenient gas to use, it can also be dangerous if leaks or overexposure when welding occurs. Never forget that you are dealing with a potentially hazardous element, so entrust installation to a specialist gas installer who knows what they are doing. At Higgins, we can be that specialist gas installer. With decades of experience to back us up, we ensure that safety risks are dealt with. Contact us today on 01625 613308 to find out how we can help you.